• DUAL FUNCTION: The foot pump provides extra fast inflation and deflation.Locking system avoids hose unfastening from pump while inflating or deflating. 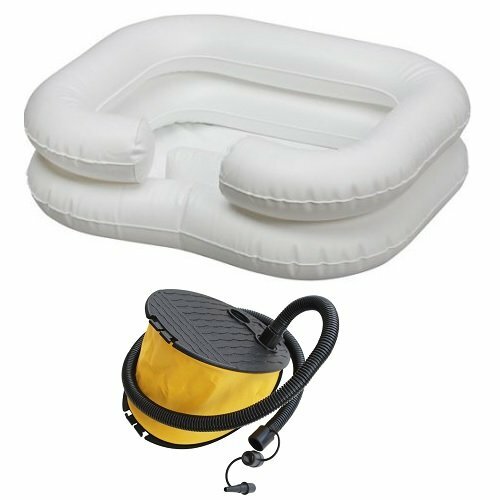 • ENERGY-CONSERVING: Without relying on an electrical outlet, the foot-operated pump makes it possible to inflate and deflate air mattresses and other inflatable items quickly and easily. • EASY TO USE: The pump is foot-operated and comes with a durable bellows, supplied with non-kink hose and three nozzles to suit for small, medium, and large air valves . • Made from rust-proof, impact resistant plastic with vinyl coated nylon bellows. If you have any questions about this product by Comfort Axis, contact us by completing and submitting the form below. If you are looking for a specif part number, please include it with your message.